Cebu Pacific Air is the Philippine’s leading domestic carrier with the largest and youngest fleet carrying passengers to most destinations in the Philippines. The airline is based at Terminal 3 of the Ninoy Aquino International Airport in Pasay City, Metro Manila. CeBPac, as it is referred to by traveling Filipinos, is the most popular airline in the country, serving the most number of flights to various destinations everyday. To most Filipinos, Cebu Pacific Air is synonymous with seat sales and cheap year-round airfare. In recent years, the airline has made it possible for Filipinos to explore the Philippines with their slogan “It’s time everyone flies.” The launch of their easy online booking system resulted in the surge of traveling locals headed to destinations all over the country. Almost every month, Cebu Pacific Air offers a seat sale with discounts as much as 50% from the regular fares. There are also those rare promotions when base fare is at P1 and a one-way ticket would then cost only around P100 (about $2.50). Seasoned travelers have learned to monitor the airline website in order to jump at any opportunity to travel with dirt cheap tickets. Seat Sales do not only apply to domestic destinations; in fact a lot of Filipinos have been able to visit destinations in East and Southeast Asia on cheap airfare offered by Cebu Pacific Air. It is for this reason that a lot of foreign tourists find the Philippines an ideal base for an Asian adventure: it is easy and inexpensive to book a flight to Singapore, Malaysia, Thailand, China and even South Korea. Promotions offered by Cebu Pacific Air are usually “Lite Fares” which means that travelers are only allowed hand-carried luggage. If the guest wishes to have luggage checked in, additional fees apply. These fees vary in every destination. Also, published promo rates are only base fares, additional fees on fuel, aviation security and value added taxes. So don’t be surprised to book a P377 one-way ticket and pay about P1000 for the whole thing. Cebu Pacific Air flies to most domestic destinations throughout the Philippines. It has satellite offices in major cities like Cebu City (Mactan-Cebu International Airport), Zamboanga City (Zamboanga International Airport), Davao City (Davao International Airport) and Clark (Clark International Airport). Not all destinations are accessible from anywhere; some flights are connected via major hubs like Manila and Cebu. 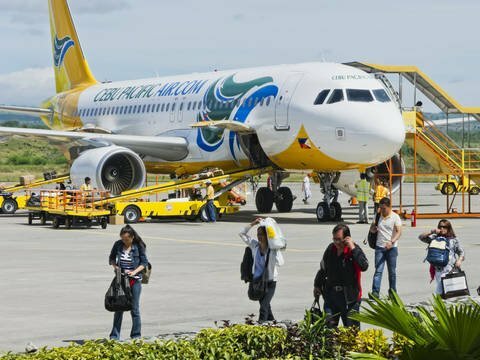 The boom of tourism in the Philippines can be owed partly to airlines offering affordable tickets to both domestic and foreign travelers. More and more destinations are being discovered due to the people’s ability to purchase tickets at prices that do not leave a dent on their hard-earned savings. Thanks to airlines like Cebu Pacific, the Philippines is now a well-explored archipelago and an exciting springboard for an Asian adventure.